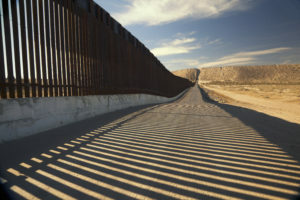 Two weeks after President Donald Trump declared a national emergency at the U.S.-Mexico border — and one week before a Senate vote on the matter — Mary McCord (L’90) of Georgetown Law’s Institute for Constitutional Advocacy and Protection teamed up with other experts to explore the legal issues. 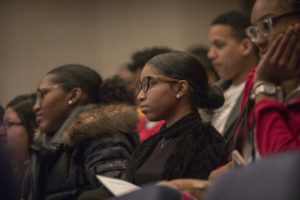 Visiting Professor M. Tia Johnson — a former assistant secretary for legislative affairs at the Department of Homeland Security who teaches national security — doesn’t see teenagers in her classes very often. 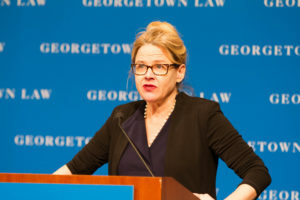 But Visiting Professor Charisma Howell, the director of Georgetown Law’s Street Law program, is used to teaching high school students. 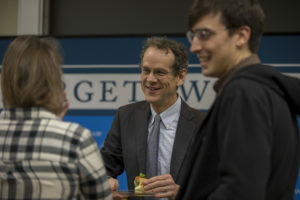 Perhaps no guest of a Georgetown Law student organization was ever quite so at ease speaking to Georgetown Law students as David Cole, the American Civil Liberties Union’s National Legal Director. 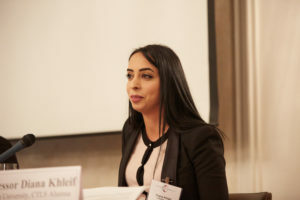 Diana Khleif (LL.M.’14) was studying law at Al-Quds University in Jerusalem when she joined the Center for Transnational Legal Studies (CTLS) in London in Spring 2013. 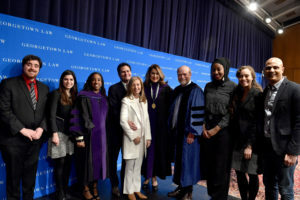 CTLS was created by Georgetown Law and nine partner law schools around the globe to provide students and faculty with an international, comparative and transnational law experience unlike any other. 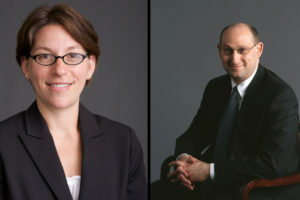 Norman Birnbaum, a leading intellectual of the 20th Century left who taught at Georgetown Law for 22 years and remained actively involved with the Law Center in retirement, passed away on Jan. 4. He was 92. 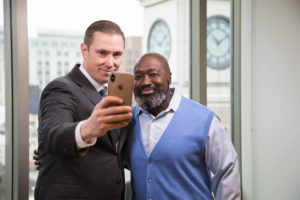 Matt Blaze, an expert in computer and network security and one of the world’s leading cryptographers, has joined the university as a computer science and law professor.